Saturday October 19, 2013 – All DayThe 15th Year Anniversary Concert of the Salon Series will encompasses Japanese dance from ancient to contemporary, honoring the 15 years of community service in New York we have held to educate and inspire general public on the performing Arts of Japan. It will be held at Tenri Cultural Institute, NYCity, where we have held Salon Series for 15 years. The Benefit is also sponsored by Stephen Globus. Early Reservation Recommend — Limited Seating. Payment in the form of check or paypal is accepted. We also have 2 performances on Sunday, 20th at 3pm and 7pm. A ticket is $25. The 15th Year Anniversary Concert of the Salon Series is supported by Consulate General of Japan in New York. $75. $50 is your tax deductible donation. Qian Yi, Kun Opera singer and Sachiyo Ito will present a co-demonstration on gestures, and abstraction and stylization of gestures in acting and dancing, followed by a performance by each of an excerpt from a Kun Opera and a Kabuki dance. Look forward to an exciting collaboration on a Chinese poem by Qian Yi and Sachiyo Ito. A weekend celebrating traditional and contemporary Japanese culture. 32nd Annual Performance. Event is on April 27-26. Photo by Mike Ratiff. Courtesy of Brooklyn Botanic Garden. Due to the geographical uniqueness, Okinawa serves as a cross road of various cultures in Southeast Asia, and thus called melting pot of cultures. The musical scale of Okinawan music is the same as the Penang scale of Indonesian music, while hand movements in Okinawan dance shows some similar movements as those of Indonesian dance. 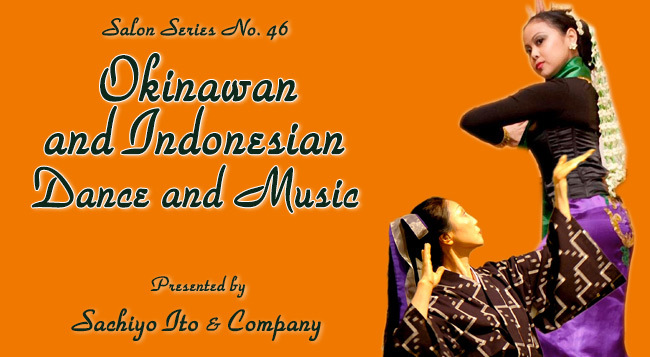 The program will examine similarities and differences between Okinawan dance and Indonesian Dance” through demonstration of dance movements, and also there will be a video and talk on musical instruments such as Okinawan sanshin, and Indonesian gamelan. Ms. Suryani and Sachiyo Ito will give demonstrations on the basics of dance forms focusing on hand gestures. Okinawan dance, Hamachidori and Nanyo Hamachidori, and Javanese dance, Tai Gambyoung will be performed. 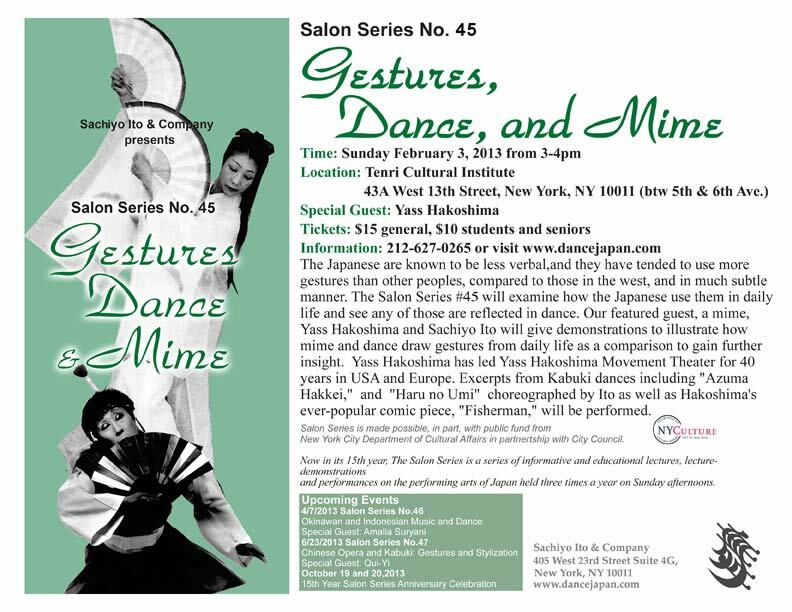 Salon Series No.45 on February 3, 2013 is titled “Gestures in Japanese Dance and Mime” The Japanese people have tended to use more gestures than other peoples, particularly compared to those in the west, and in much subtle manner. The Japanese are known to be less verbal. Why and how we use them in daily life and see any of those are reflected in dance. 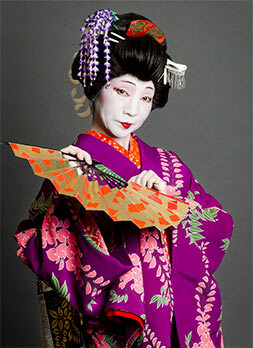 Our featured guest is a mime, Yass Hakoshima who had lead Yass Hakoshima Movement Theater for 40 years in USA and Europe. Mr. Hakoshima and Sachiyo Ito will give demonstrations to illustrate how a mime draws gestures from daily life as a comparison and to gain further insight. Excerpts from Kabuki dances including Excerpt from /Azuma Hakkei/, and /Haru no Umi/ choreographed by Ito as well as Hakoshima’s ever-popular comic piece, “Fisherman,” will be performed. Now in its 15th Year, Salon Series is an ongoing program of informative and educational lectures, lecture-demonstrations and performances aimed at those who are interested in deepening their knowledge of the performing arts of Japan. The unique combination of education and entertainment has inspired NY audiences artistically, and intellectually. The series is held on Sunday afternoons three times a year at Tenri Cultural Institute. Refreshments will be served during Q/A. Tickets: $15 general; $10 student and senior.